In this Martin & Sylvia Nature School story, "Measuring the World", when Sylvia declares that she knows everything there is to know about her best friend, Sofia, Momma suggest she use the scientific method to test her theory. And what is the scientific method? Momma explains that it involves measuring, collecting data, and then studying the data. Sylvia and Sofia then learn the difference between using the scientific method on rocks, plants, animals, and then… best friends. My family lives in the desert of Arizona, and unlike Sylvia and Sofia, we don't see rain very often in the winter or spring. However, we get lots and lots of rain in the summer. So a rain gauage is perfect for measuring those afternoon monsoon storms. 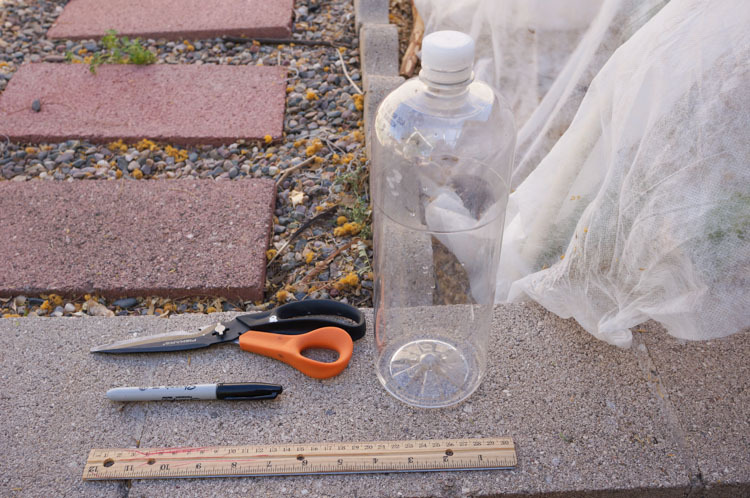 Gather all your materials so you have them handy as you are working. Remove any lables from the bottle as needed. 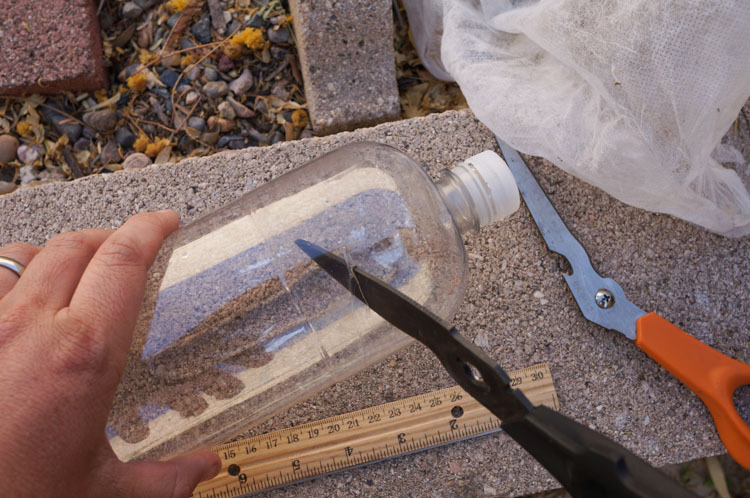 Using the scissors or a box cutter, cut a hole into the bottle near to the top and then continue to cut, turning the bottle until the whole top comes off. When you have cut the top off the bottle, remove the cap, flip the top upside down, and insert it into the bottle, creating a funnel. Now your rain gauge is ready to use. 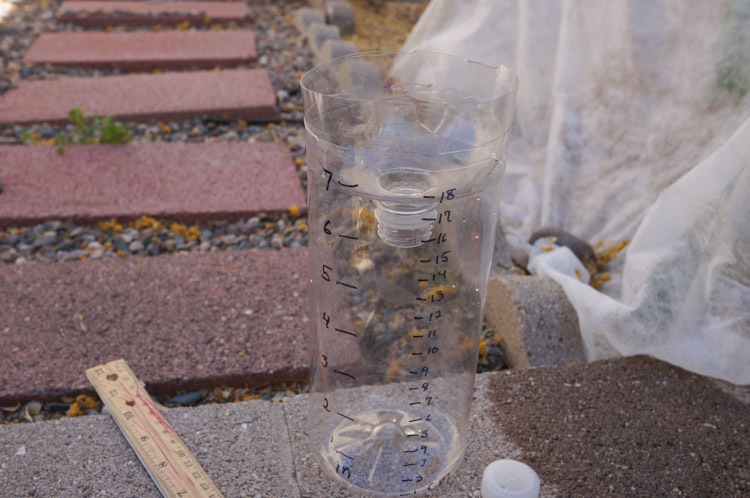 I placed our rain gauge on my garden's potting table. We had micro burst of rain the other day and got a centimeter of rain. 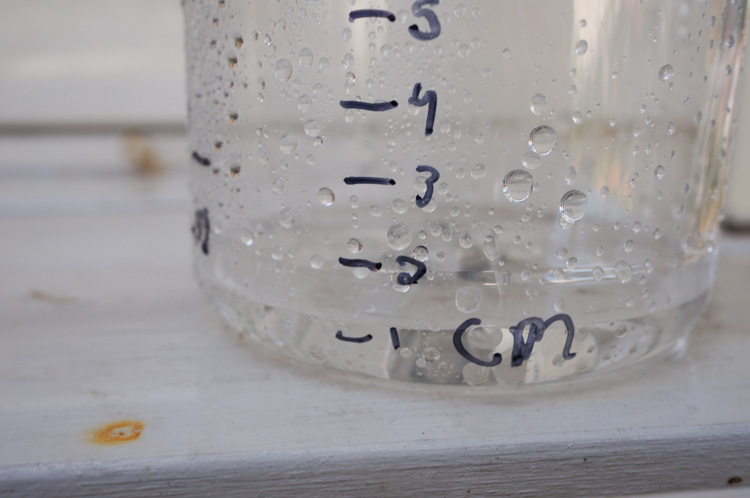 If you want to take your scientific explorations to the next step, you can try charting the rainfall at your house over a period of a month or more.